As she stood on the porch and posed for the last pictures I would take of her on her first day of school, I saw her as that little kindergartener waiting for the bus with her big brother... She's since ditched the 45-minute bus ride for a 6-minute drive on her own (she was even gracious enough to pause for a picture as she got into the car -- there's one as she's pulling out of the driveway and driving down the road too, but I saved those for another page!!)... I also remember realizing that she really was a young lady now -- with a future full of opportunities and adventures!! 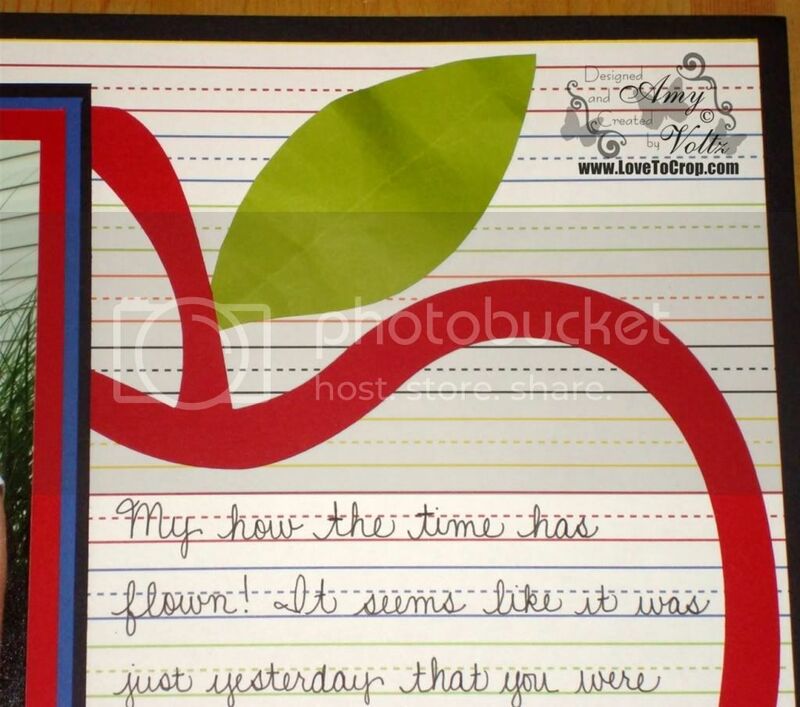 That fantastic lined paper is from the Creative Memories Cheerful School 12x12 Additions... The fact that it's rainbow colored will not escape The-Girl-Child, for 'rainbow' is her favorite color!! :) The "your LAST" is the font found on the Batman Cricut Cartridge (also great for POW!, BAM!, and Kazowie! should you need those phrases for a layout!! 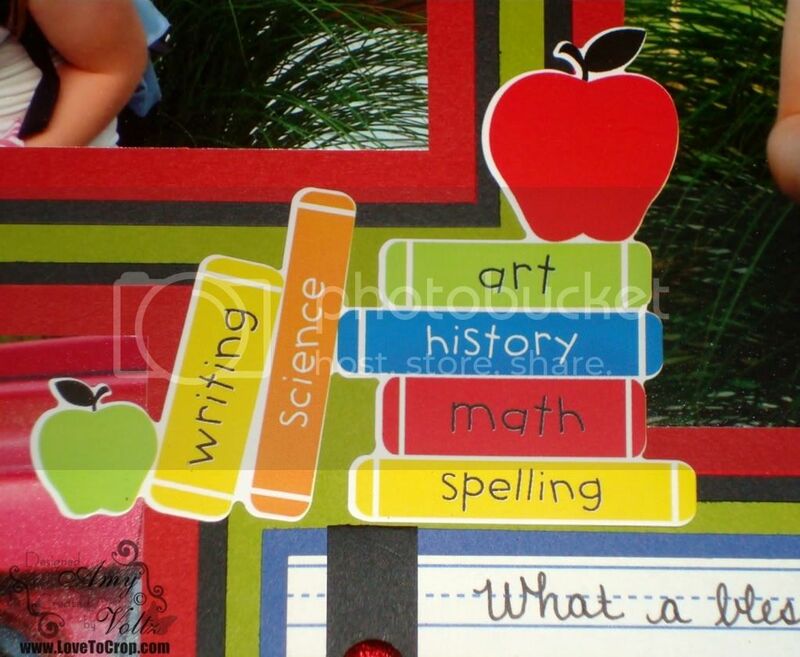 ), and the "1st Day of School" is the base font on the Learning Curve Cricut Cartridge. 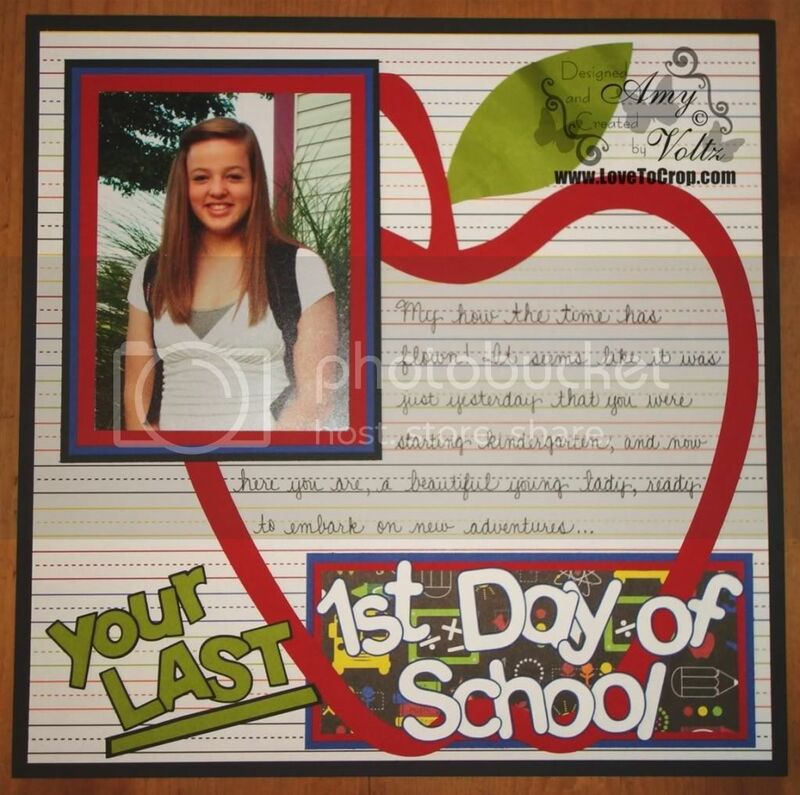 That awesome cardstock sticker can also be found in the School Additions (as well as a host of other photo mats, more paper, and a whole bunch of stickers and phrases!). 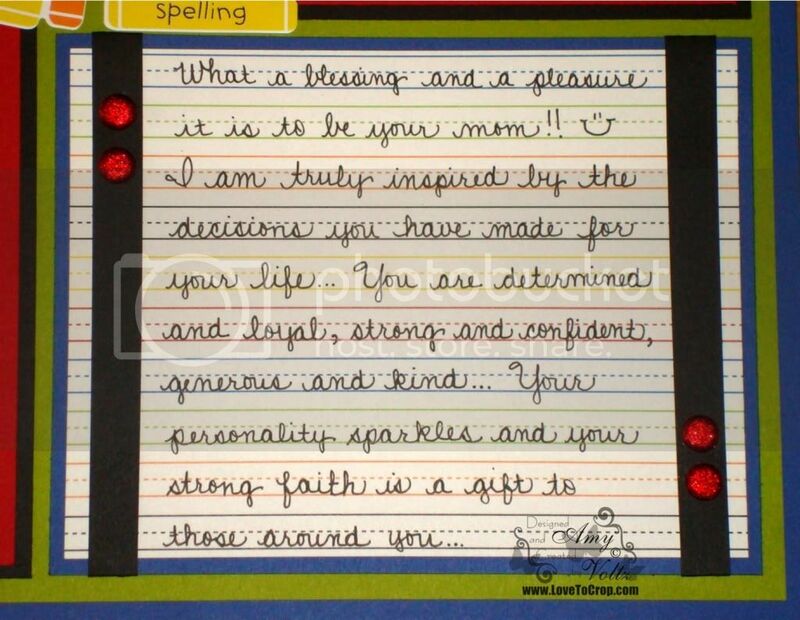 Wonderful layout and what a treasure for you and your daughter! Now onto the best yet worst part of doing a DT call! Choosing!!! You layouts are beautiful!! This one with your daughter is truly precious!! She is lovely! :) Thank you for your sweet compliments as well!! 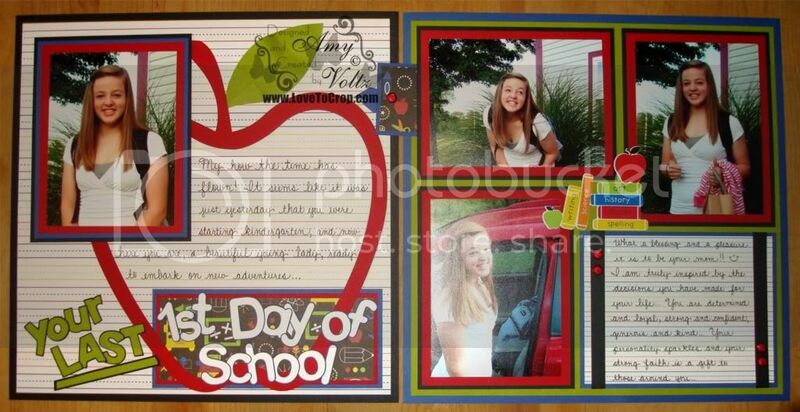 Amy this LO is A-M-A-Z-I-N-G. What an awesome idea "Your last first day of school" I think that is so sweet. Just think we finally get to see the "girl-child" LOVE IT, LOVE IT, LOVE IT! Thanks so much for sharing not only the layout but your wonderful words. I never journal on my layouts and the more I think about it the more clear it is that I am leaving out half of the reason for scrapbooking in the first place! Love, love, love your LO. I especially loved what you said. I never really thought about it until you said it. I don't put my writing on any of my layouts. I wanted them to look so perfect ( well...as perfect as I could get them lol), that I lost sight of the real goal of a layout. To leave something for your family to remember YOU by, while remembering that special time in their life. I will be using my writing from now on. Thank you so much for opening my eyes. what a beautiful daughter you have. 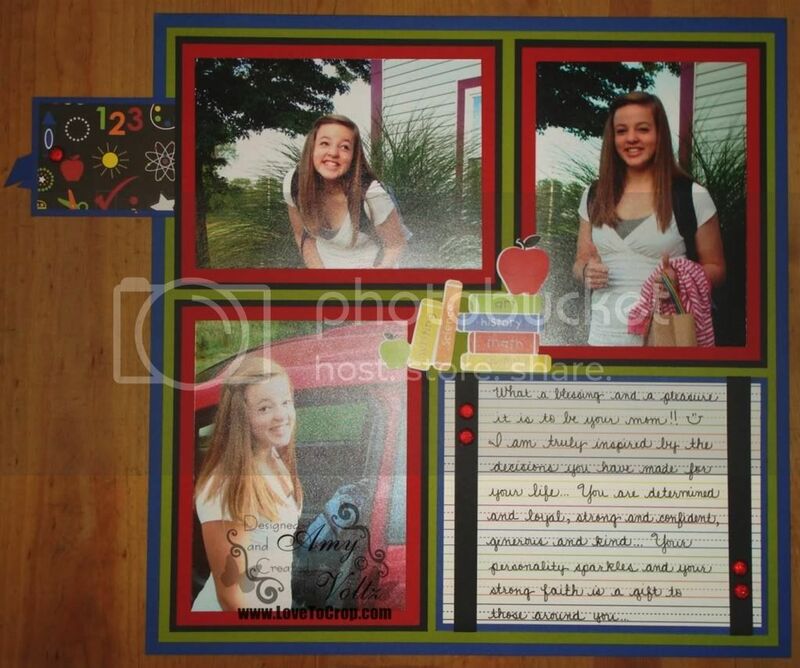 that layout is so neat and what great memories it has and will have forever. Beautiful layout! Love the journaling. OH Amy! This has me in tears! What a wonderful story, layout and girl-child! 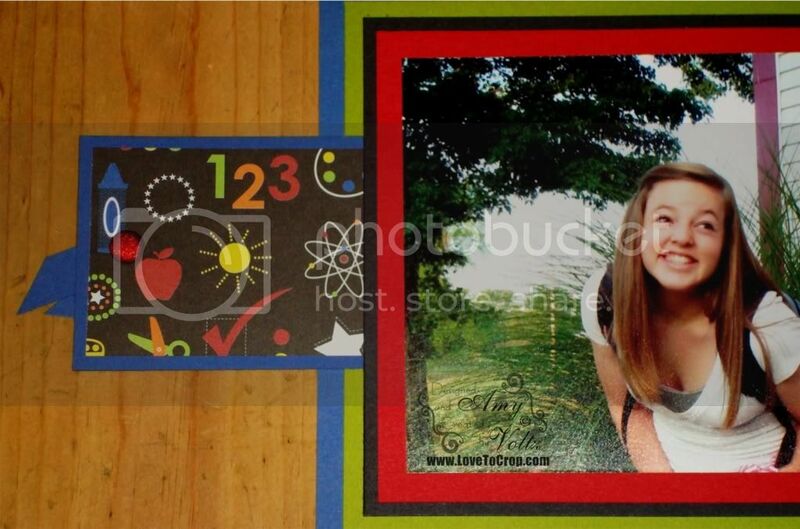 Colleen starts high school next year. What a precious, precious layout, Amy!! Your daughter looks like such a delight and your messages, through your journal writing, will certainly be something for her to treasure. Your handwriting is PERFECT, by the way! Amy - check out my blog post for today!! There is something that I'd like you to see. Hi Amy! I've left something for you on my blog! !